The news progressive house fans have been waiting for has finally arrived. 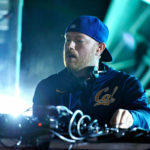 Prodigious leader Eric Prydz has announced an official release date for his debut artist album, which carries the same name as his hit single “Opus” – February 5th. Prydz is also breaking new ground with EPIC 4.0. Previously set to occur only in one city, the Mouseville boss posted on his Facebook a “Phase 1” tour announcement for the event, which is slated to take place in Los Angeles, New York, and San Francisco thus far. Since EPIC’s last iteration at Madison Square Garden in 2014, the lasers, 3D holograms and other cutting-edge aspects that compose Prydz’s production have been revamped to give fans a new and improved visual experience in the coming year.